Hi there, my darlings!! 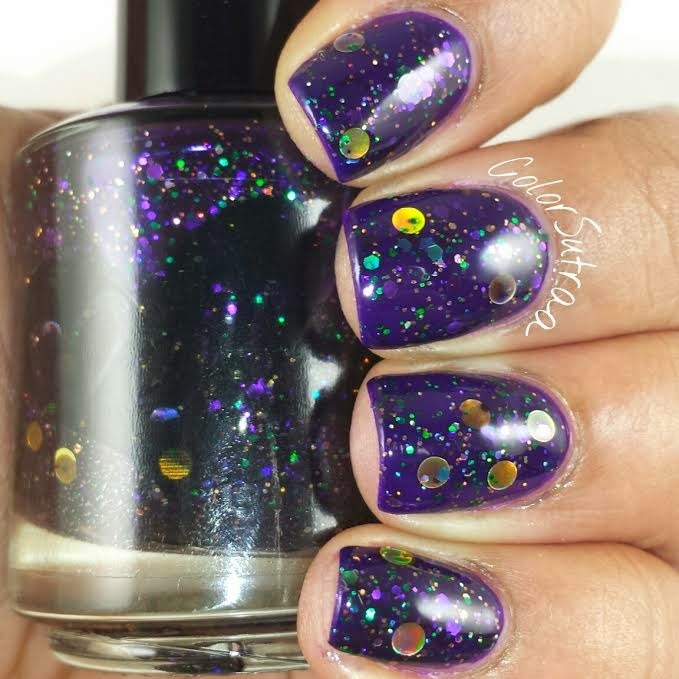 Today, I would like to show you a very special polish that is releasing for just a limited number of days starting tomorrow--Laura of ellagee created a beautiful jelly polish, Laissez Les Bons Temps Rouler! in honor of Mardi Gras 2015. And just like the holiday itself, it's an extravagant, flashy beauty--take a look! 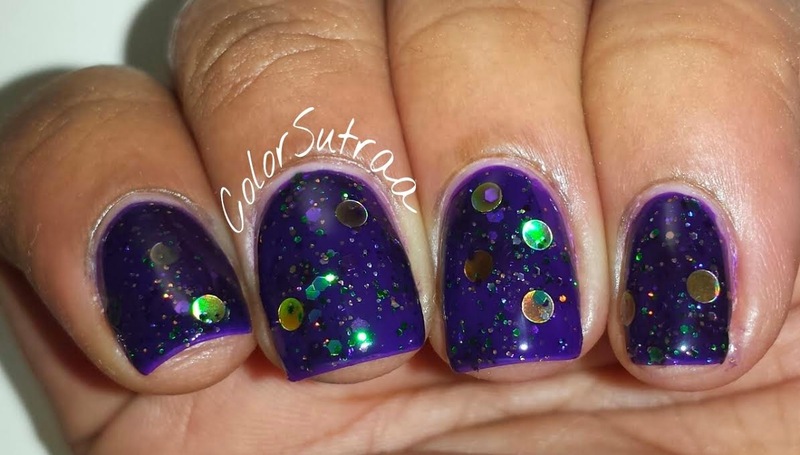 Laissez Les Bons Temps Rouler is a rich, dark purple jelly with small holographic and metallic glitters in green, purple, and gold along with large gold metallic circles. 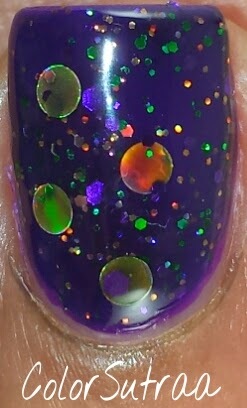 The swatches below show 2 thin coats over 2 coats of Orly Saturated, topped with 1 thin coat of her Glass Fast Dry topcoat. How utterly gorgeous is this?! I adore those gold circles! And I just couldn't resist a blurry shot! 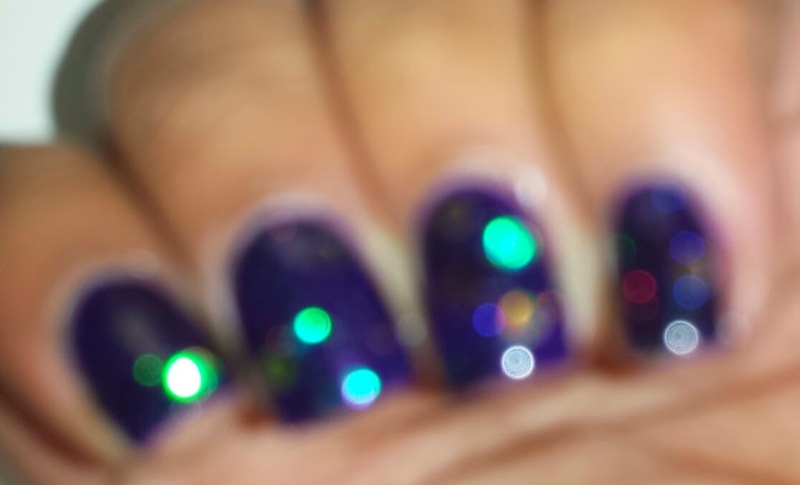 "While supplies last this polish will come with a special surprise! Each will be packaged in a gold fabric bag with Mardi Gras Doubloons. 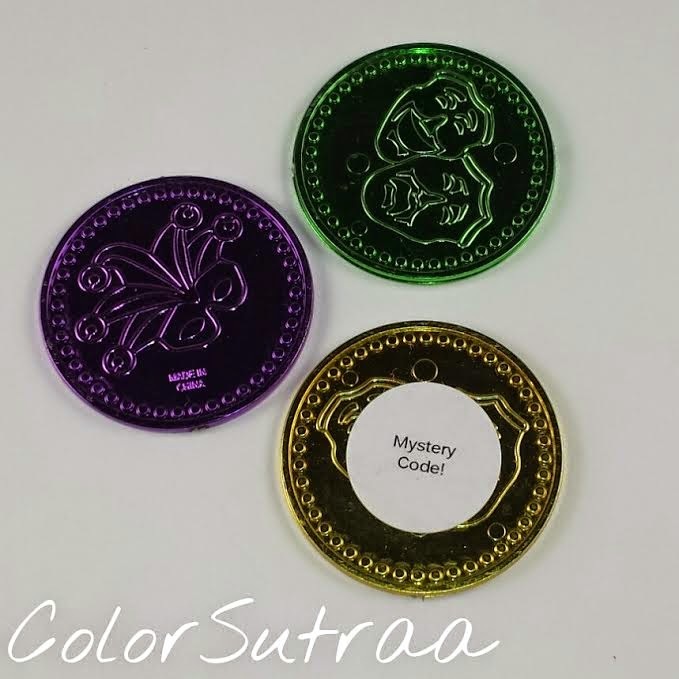 One Doubloon in each bag will have a mystery coupon code for your next purchase! Some will be small but a few lucky customers will get a big one! I'll be packing them all up ahead of time so I won't know who gets what." So there you have it, my darlings! 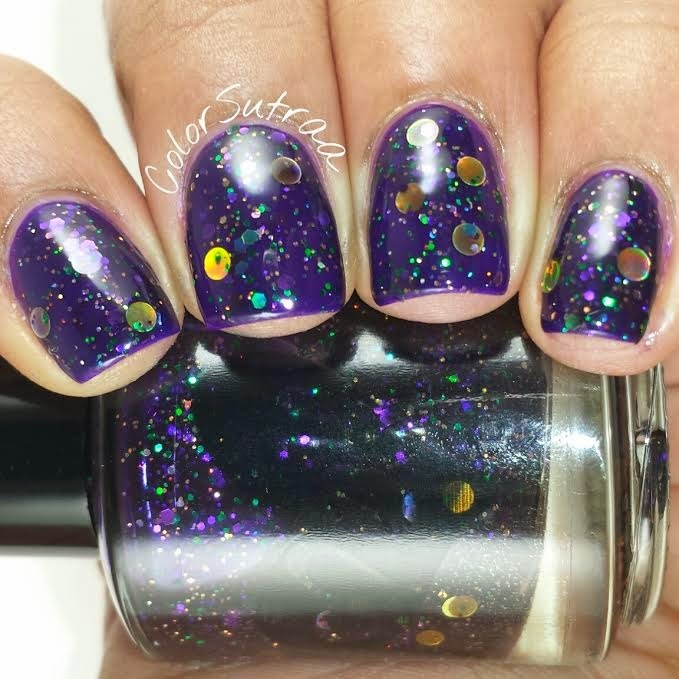 This polish IS a limited edition and will be available from Saturday, January 31st, 3 pm CST through Tuesday, February 17th--only while supplies last! You will find it HERE for the price of $10.00 for a full-size, 0.5 mL bottle! And while you're there, grab a bottle of her Lickety Split Latex Mani Masks for just $4.00--you will thank me if you're into nail art! 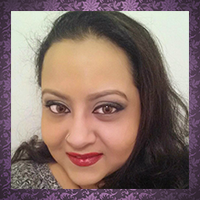 Don't forget to follow Laura of ellagee on FACEBOOK and on INSTAGRAM for the all the latest updates and info. What do you think of this LE beauty? Will YOU be snatching it up this weekend? Tell me in the comments section below!